ROCHESTER, Ind. 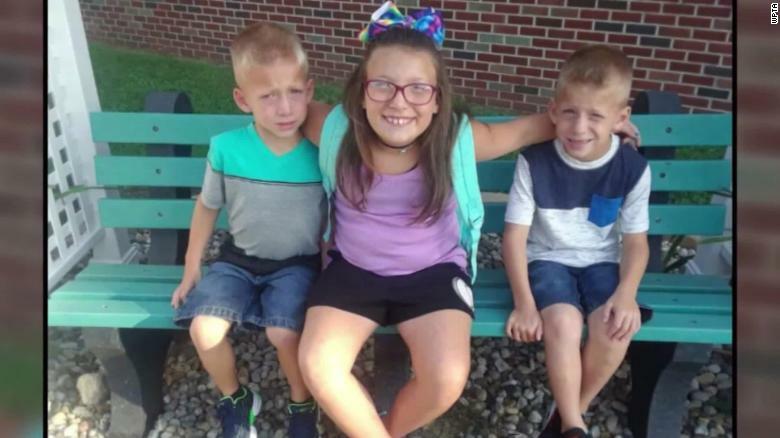 – A 9-year-old girl crossing the street to catch the school bus held her twin brothers' hands and tried to shield them before they were fatally struck by a pickup truck in rural Indiana, according to her uncle. Elgin Ingle told CNN affiliate WRTV that his niece, Alivia Stahl, acted more like a mother than a sister in protecting 6-year-old Xzavier and Mason Ingle. He commended Alivia for her bravery in her last moments. "To her I say, way to be a badass, man. She had a split second to think of what to do, and she chose to shield her brothers with that split second," he told the Indianapolis TV station. Their mother, Ingle said, ran to them immediately after the accident Tuesday morning. "How do you decide which child to run to when all of your kids are laid out on the highway?" he asked. 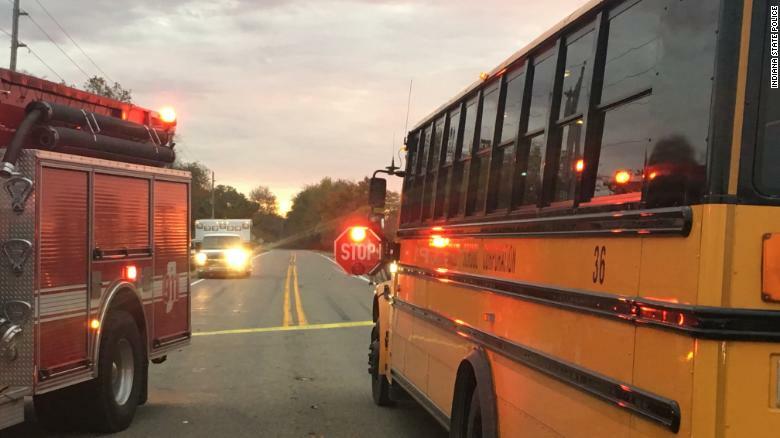 It was about 7:15 am Tuesday when the three children stepped out on to the street in Rochester to catch their school bus, waiting on the other side with its arm out and lights flashing, Indiana State Police said. 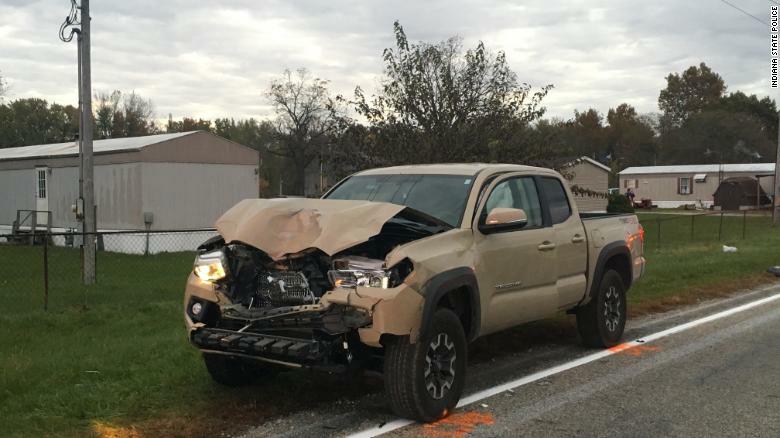 Alyssa L. Shepherd, 24, driving in a 2017 Toyota Tacoma, struck and killed the children, authorities said. All three siblings died at the scene. Another student unrelated to them was also struck and airlifted to Parkview Hospital in Fort Wayne with multiple broken bones and internal injuries, police said. Shepherd faces three felony charges of reckless homicide and a misdemeanor of passing a school bus with the arm extended. She remained at the scene of the accident, but police said Shepherd was arrested at her workplace later Tuesday. She was released on a $15,000 bond, according to Jail Commander Catherine Collins, and is scheduled to make her first court appearance November 13. It is not clear if she has legal representation at this time. All three of the children were shy, their uncle said, but each had vivacious personalities underneath. "The two boys were a life spark," Ingle told WRTV. "They were nonstop happy, jump high, go fast boys." Alivia, he recalled, showed bravery and compassion throughout her short life. "There's no stopping Alivia. She sets a goal, she goes and gets it. She's helpful. She's attentive to other people's needs. She's what you want in a child." Ingle, like the rest of his family, is navigating how to help the parents through this tragedy while he grieves. "What do you tell your little brother when he just lost three of his children to someone's negligence?" he said, according to WRTV. Ingle said there was no reason the children should have been taken from the family, and wants other drivers to hear this message: "Pay attention. It's not your kids you're going to kill when you look down."